25 Little Known Facts About Peter Peter was born and raised in Parrsboro, a small town in Nova Scotia, pop 1867, elevation 50 m and he was delivered by the town doctor who was also a pig farmer. Peter likes adventure. He has gone helicopter riding over glaciers in the Yukon, kayaking the Queen Charlotte Islands, down hill skiing in the Italian Alps, snorkeling with moray eels in the Red Sea, riding on a camel in Israel and made eye to eye contact with humpback whales. Peter has trekked to the base camp of Mount Everest in Nepal where he flew a kite at the elevation of 18,208ft, 6 inches. Peter is a licensed public school teacher and driver education instructor and has taught children in Special Education and up to Grade 9. Peter has rock climbed up a 5.7 grade rock cliff. Peter has been interviewed numerous times on national TV, radio and newspaper and featured in several TV show documentaries regarding his work for peace and nonviolence. Peter's healthy relationships work with men was featured in the October 2002 edition of Oprah Magazine. Peter had speaking role and danced with "Anna" in front of an audience of over a 1000 people in the Rodgers & Hammerstein play, "The King and I." Peter plowed his first field solo with a farm tractor when he was 14 years old. Peters first car was a 1950 Pontiac and he still likes to tinker in the shop to repair or restore cars. Peter loves to sing but despite a heavy investment in voice lessons still doesn�t quite always carry the tune. Peter had several layers of dead skin voraciously removed a large hairy fellow in a genuine Turkish bath in Istanbul, Turkey. Peter has hand washed an elephant in a jungle river in Nepal. The violence prevention book for teenagers that Peter co-authored, Healthy Relationships Curriculum, has been translated into French and has sold globally. Peter was kicked off a movie set and was in an armed robbery in the first 24 hours he visited Los Angeles, California. 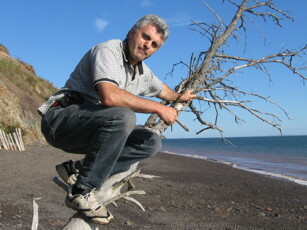 Peter likes to spend time at his cottage on the Parrsboro shore to watch the highest tides in the world ebb and flow in the Bay of Fundy, Nova Scotia, Canada.